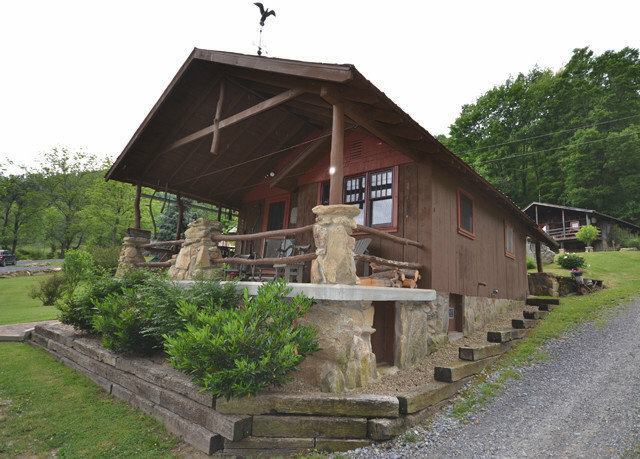 Famously finicky Goldilocks would feel right at home at the renovated, rustic Three Bear Holler: Built in log, this TripAdvisor Certificate of Excellence winner’s three cabins – each named for Momma, Papa or Baby Bear – are ideal for all her signature pastimes. 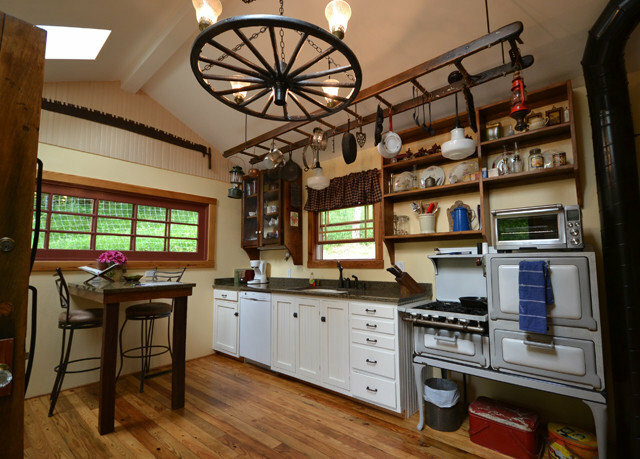 For supping on porridge, there’s the stovetop in the full, modern kitchen, and for sitting, she (or you) can choose between mountain-view porch swings and rocking chairs. 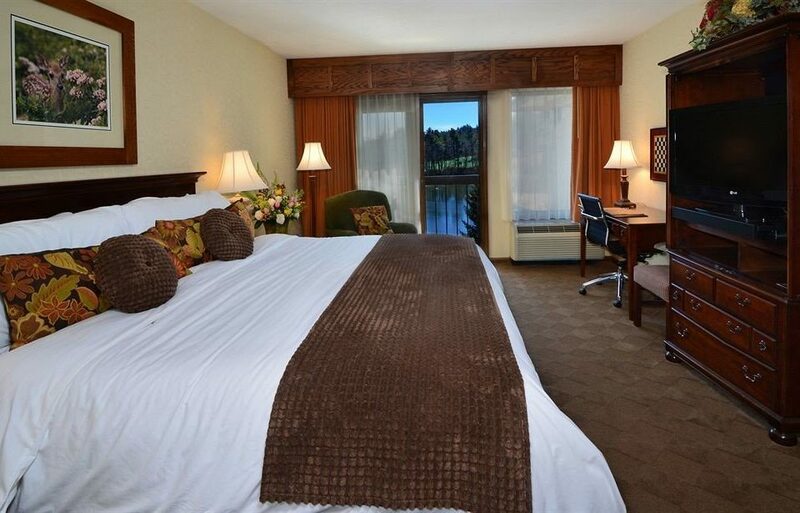 When you’re in the mood for a leisurely afternoon nap, stretch out on your comfy bed – but don’t stay there too long, or you’ll miss out on the other recreation in the region. 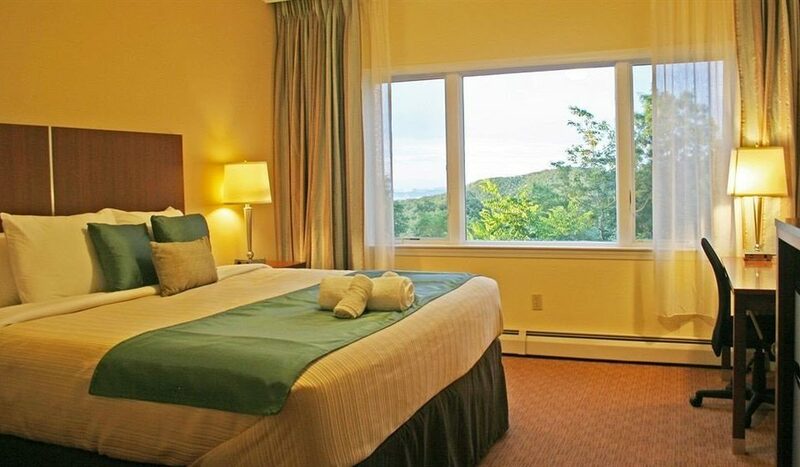 Since you’re in the Blue Ridge Mountains, you’re near the Appalachian Trail and its miles of hiking trails and near national forests with stunning waterfalls and whitewater rapids. You can go fly-fishing, horseback-riding and, in the winter, skiing. 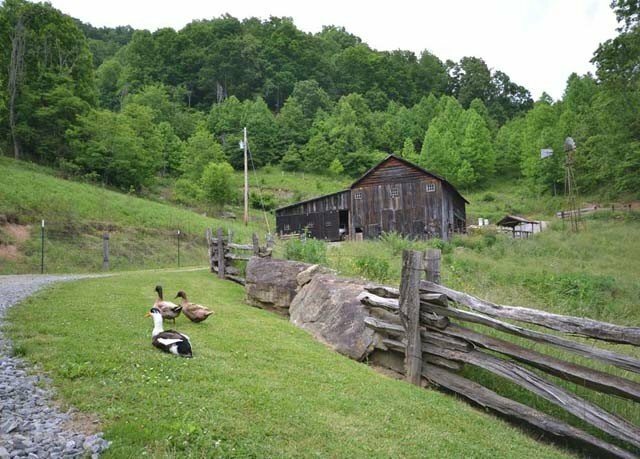 You’re also right near Pigeon Forge and Gatlinburg, which boast beautiful scenery, and Asheville, which houses shops, nightclubs and the 8,000-acre Biltmore Estate. 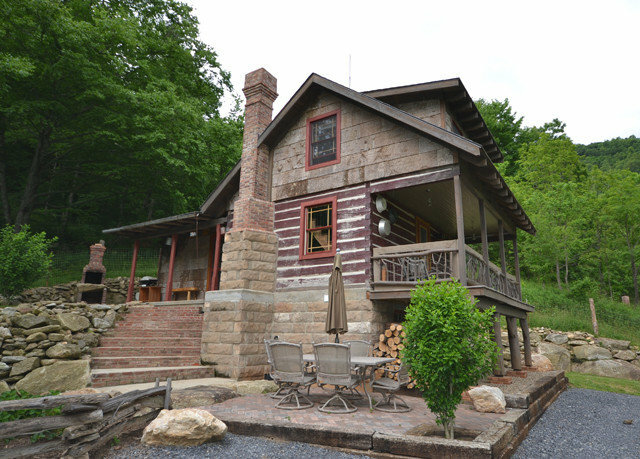 Yep, your Three Bear Holler stay is a little bit country and a little bit city. Or, as she of the golden hair might describe it, just right. Haywood County is dry, though some people choose to stock up on liquor of their own, so feel free to BYOB. 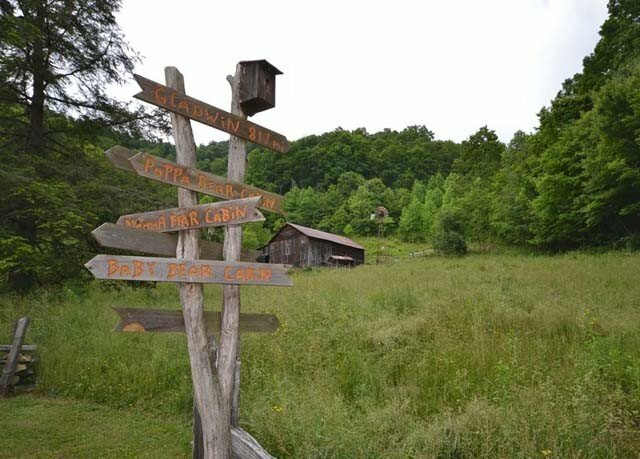 GPS directions are unreliable; the owners will contract you via email after you book with specific instructions for reaching Three Bear Holler. Firewood is available for purchase on-site. 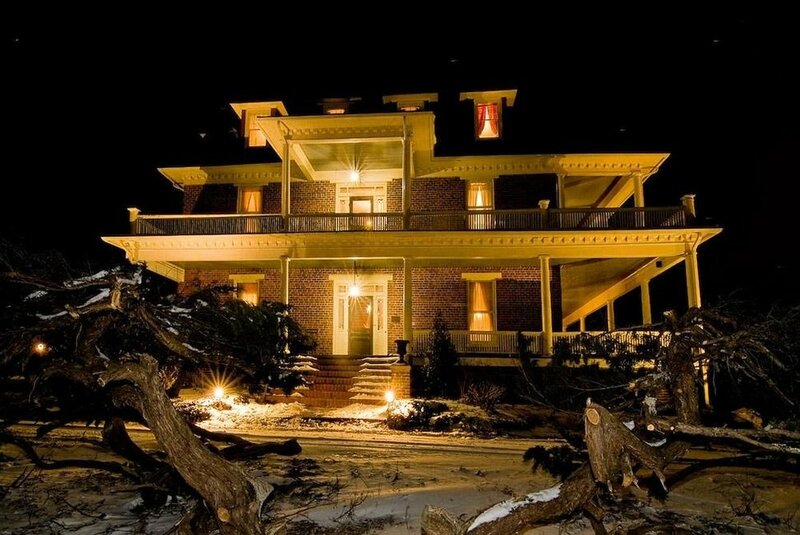 Renovated with a mind toward preserving their historical features, the circa 1880 and 1920 log cabins will make you feel like you’ve escaped not only your nine-to-five, but the whole 21st century. 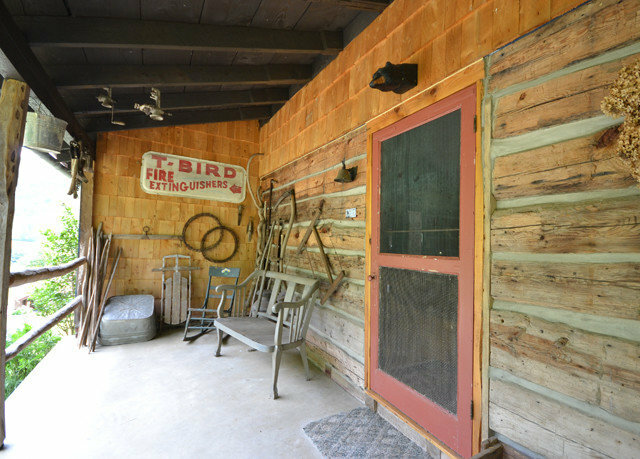 When you’ve got a campfire pit, gas grill and kitchen, to boot, all you’ll need are groceries and a book to read by the wood-burning fireplace or on the mountain-view porch’s swings or rocking chairs. 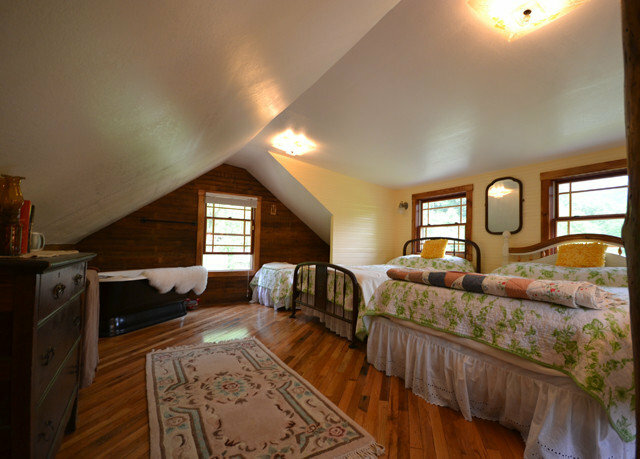 In the Baby Bear cabin, reclaimed and original hardwood floors, antiques, patchwork quilts and iron beds complement the surrounding countryside and create a welcoming home away from home. But if you want some more space, upgrade to the Momma Bear or Papa Bear. 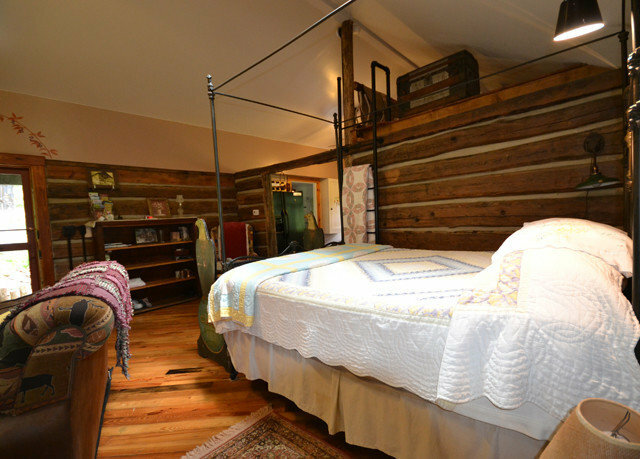 Both the Baby and Momma Bear cabins feature an open studio floor plan with one queen bed, while the Poppa Bear Cabin contains a large sleeping loft upstairs with a queen bed, plus one full and one twin bed. 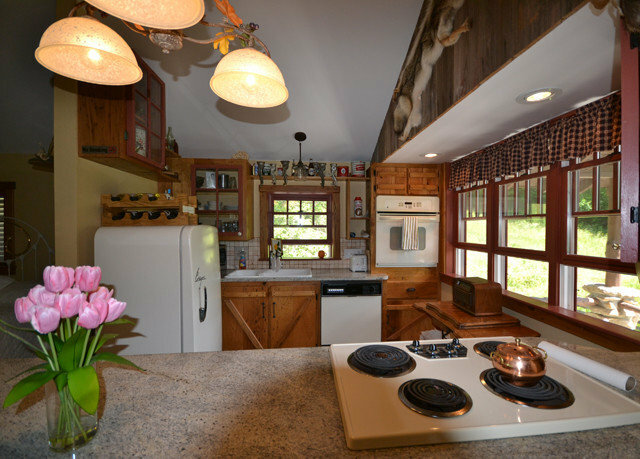 Your cabin’s fully equipped kitchen guarantees you’ll never want to leave your rustic retreat. 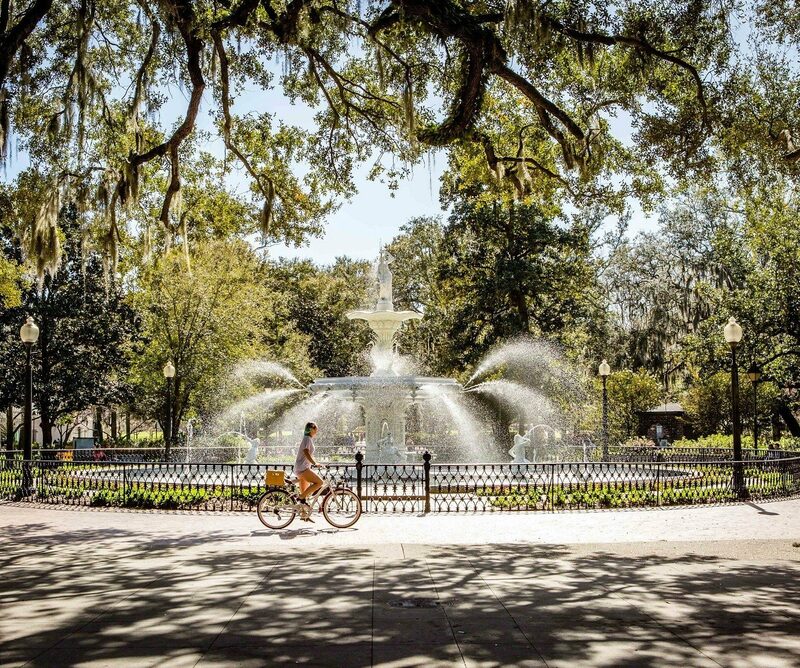 Shop for local ingredients and stock the pantry for your stay, because this country escape will inspire you to whip up Southern plates and soul-food dishes you’ve only dreamed of. Biscuits and gravy, anyone? 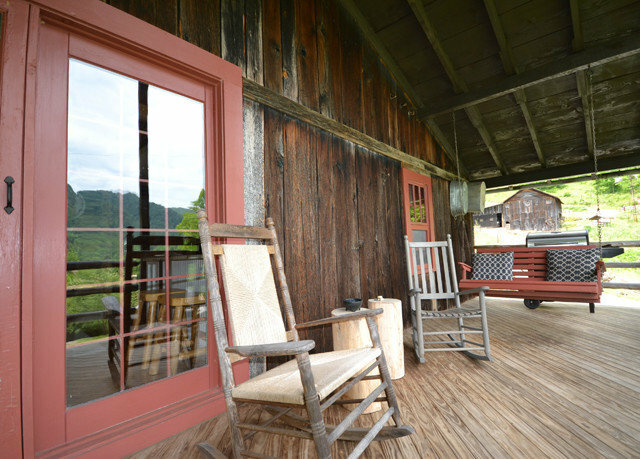 Located near Asheville, Three Bear Holler is a stone’s throw from some of the South’s hippest and most historical attractions. 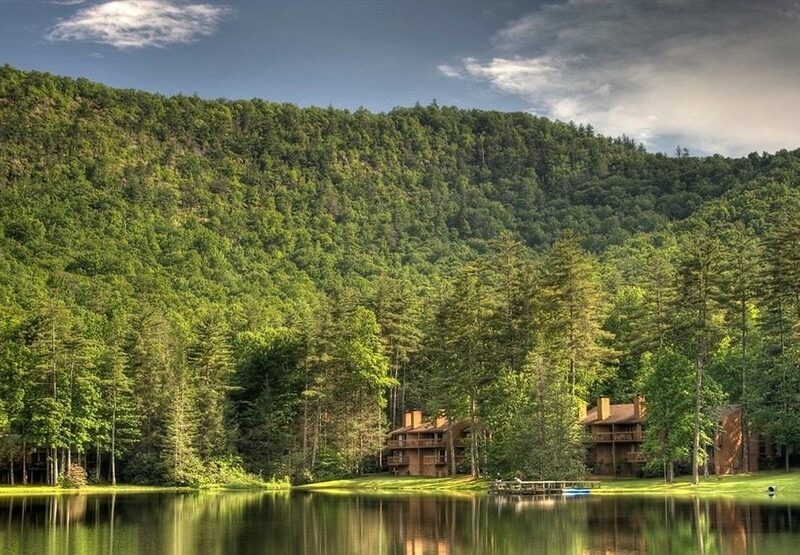 Tour the famous 8,000-acre Biltmore Estate, explore Asheville’s shopping, nightlife and brewery scene, take scenic walks and hikes through the area’s national forests, waterfalls and Appalachian Trail or drive to Pigeon Forge and Gatlinburg. 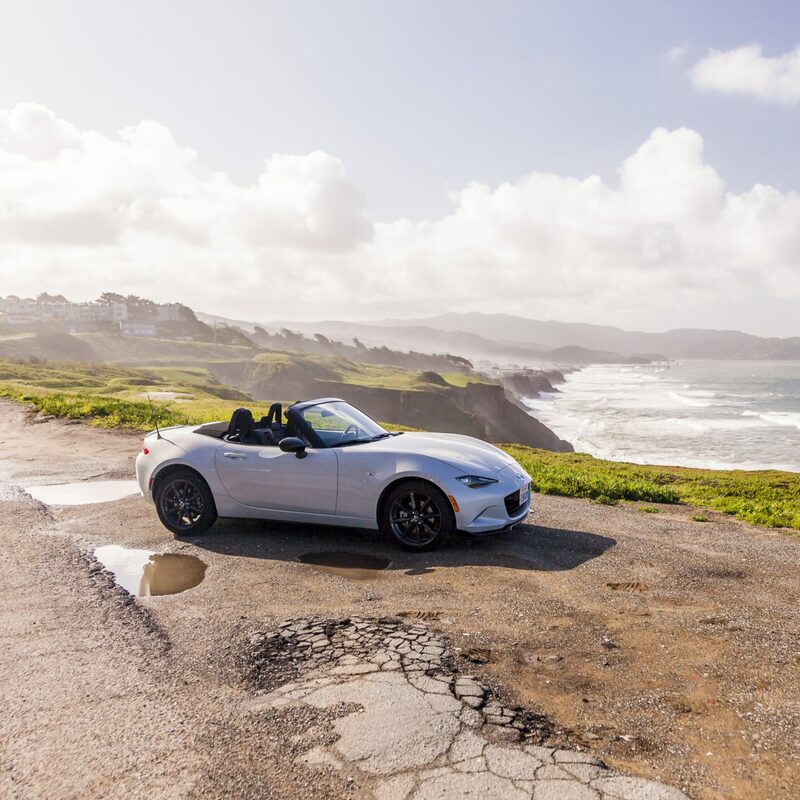 You can also experience the thrills of fishing, whitewater-rafting or, in winter, skiing – in warmer seasons, you can even go blackberry-picking. Absolutely loved every minute of this vacation. The animals, the houses, the stunning views. We had so much fun and I want to go back today. 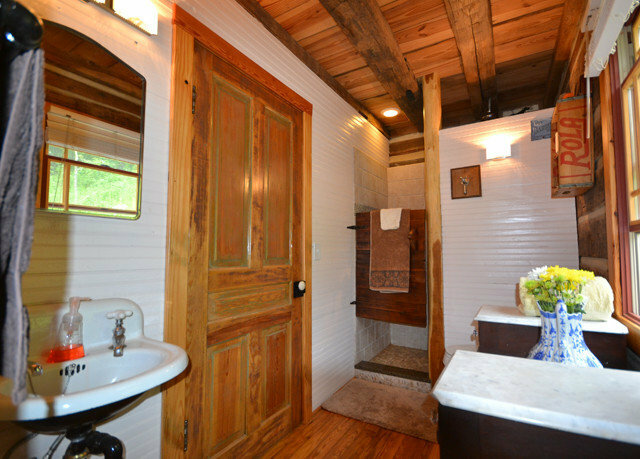 Super rustic,romantic, friendly, charming. I would stay forever if I could, they provided everything we needed. We stayed for 6 days and had our daughter's wedding on the property. 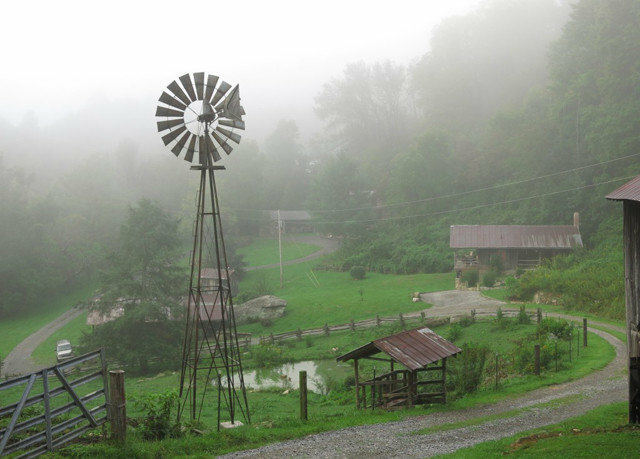 The mountain farm atmosphere was a perfect venue. Owners Marc & Pam were great. We have been in each of the cabins. They are nicely furnished and very comfortable. Mountain views everywhere. 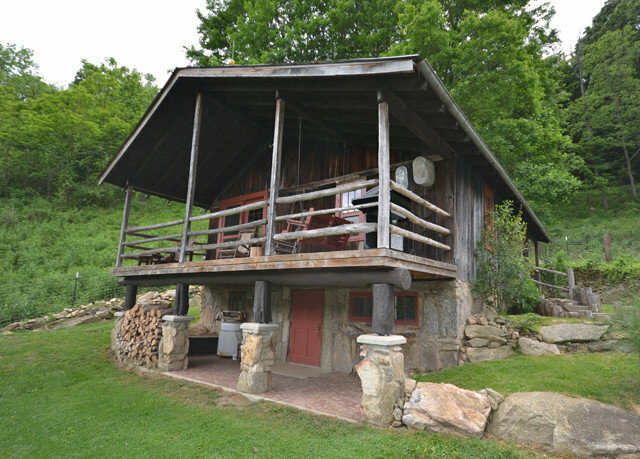 Three Bear is located About 35 minutes from Asheville and 20 from good restaurants in Waynesville. 1 - Amazing views - took so many pictures! The pictures on-line don't do it justice!!! 3 - Loved the animals (cows, cats, chickens, horse.. and BRUTUS the chocolate lab). 4 - Did I mention BRUTUS?! He came to our cabin Saturday and went on walks all day with us, stayed for dinner, slept next to the fireplace that night and ate breakfast with us the next morning before we left. He was by FAR the nicest dog I've EVER met. He might be what we remember most of the trip and that is saying a LOT! 5 - Lovely evenings by the fire pit. There is TONS of wood chopped and ready to burn. 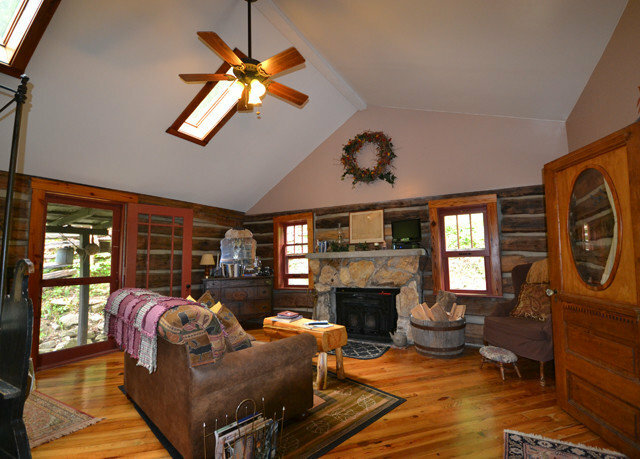 6 - The cabin is decorated as if you are in your own cabin. So welcoming! 3 - keep in mind that you will likely not have cell service or internet - you're in the mountains! I've read all the reviews on here and found them very helpful and accurate. I almost hope nobody goes there though so its available for our next trip!! One of The Best Places I've Stayed! I Loved It! 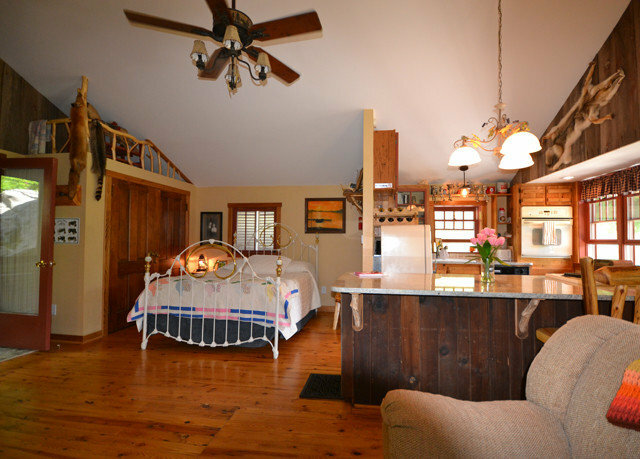 My husband and I stayed in Mother Bear Cabin, which is beautifully decorated, clean and tidy. 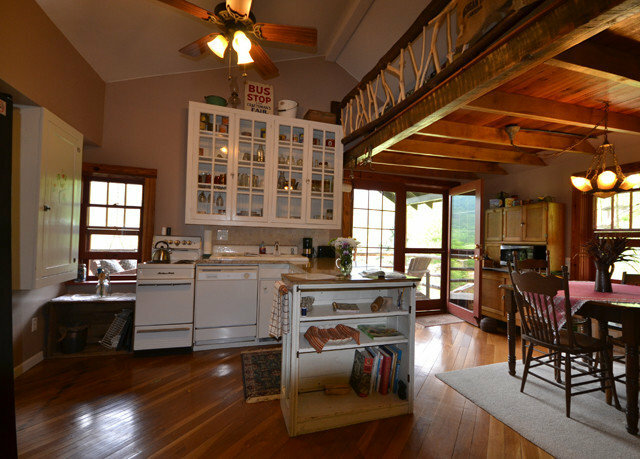 Farm items for breakfast where on our counter upon arrival - fresh eggs, bread, granola,& jam. The location was quiet and serene with gorgeous views. The owners were attentive to our well being and were very friendly and helpful. There are cows, goats, bees, chickens and a resident dog and cat that dropped by for a short visit. I love animals so I had a blast watching and photographing the animals and the breathtaking views from our porch and around the area. The Appalachian Trail is only 7 miles down the road for hiking or a short drive into Asheville or other small towns for dinner and other activities. I can't say enough how much I enjoyed our stay. I do believe this was one of our best weekend trips ever! Thanks Marc and Pam and I'm looking forward to seeing you in October and to see the leaves change!!! I learned about this location through a Living Social offer. We picked a weekend and had a great interaction with the owners through email. Their communication was friendly, thorough, and informative. We arrived late in the afternoon and couldn't believe the lovely scenery and location as we drove in. It's very convenient to I-40 from two different exits. 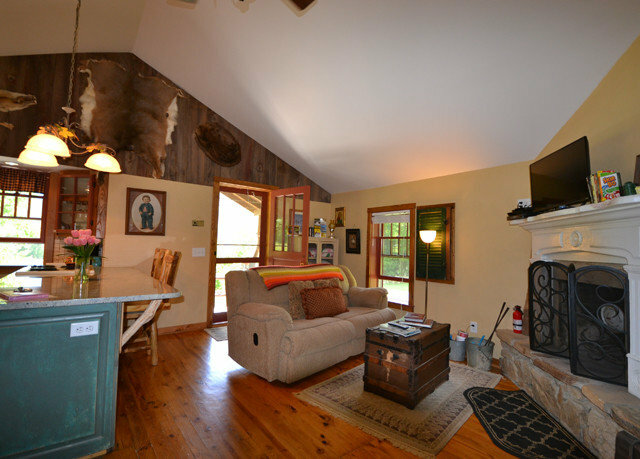 Our "Poppa Bear" cabin was beautiful! 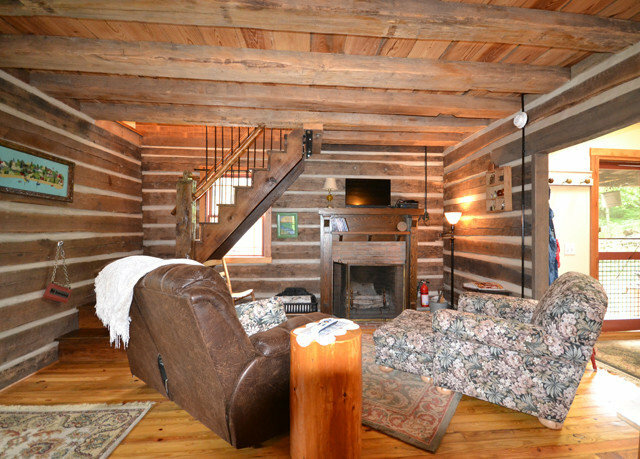 It's a rustic old cabin with all the comforts of home, except internet. The decor was beautiful and fit the motif perfectly. 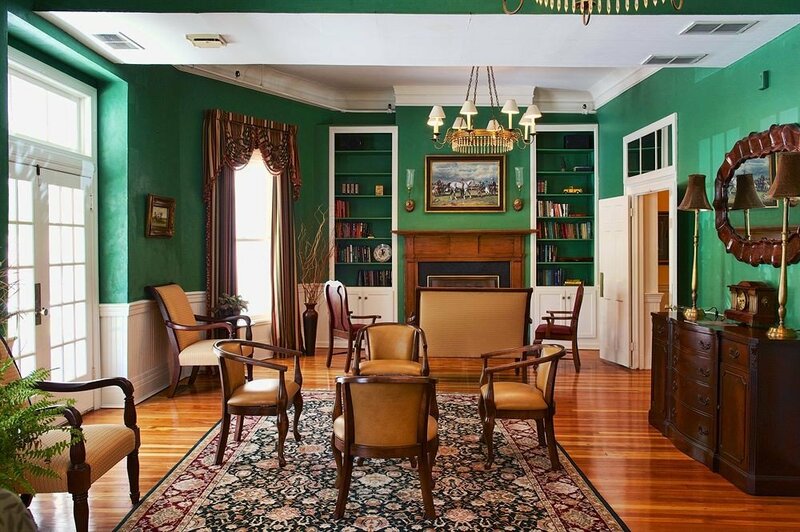 There is satellite TV for entertainment along with a wide variety of books and comfy places to sit and read. At night you get amazing views of the night sky with almost no light pollution to interfere with the view. It did get a bit warm at night in the upstairs bedroom, and opening the windows did help a bit. A fan would make a big difference. 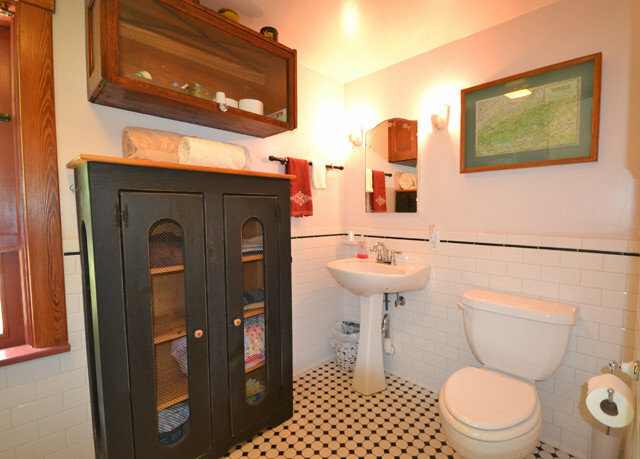 We loved this location and the attentive, yet hands-off owners. 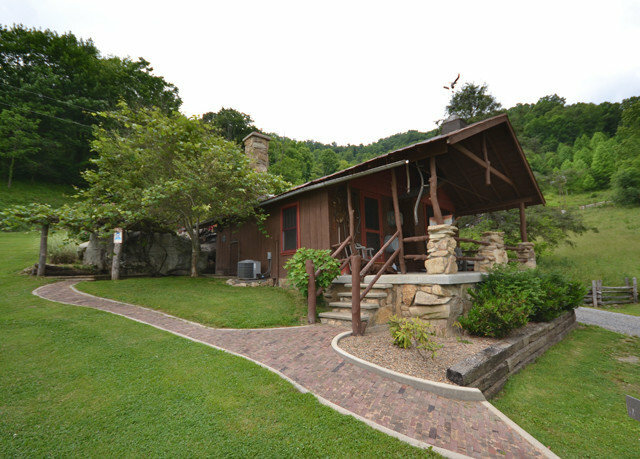 We'll definitely consider returning to Three Bear Holler!